Sales and operating profits for Nikon are higher than expected, thanks to good performance from its camera division, according to Nikon president Makoto Kimura. Speaking to Reuters, Kimura said that Nikon wasn't experiencing a slowdown in sales despite the current debt crisis in the eurozone, but revealed he was concerned about a possible downturn in the October to March period. He said, "There is some evidence that dealers are putting off their purchases," but added that camera sales tended to be relatively immune to changes in the economy. 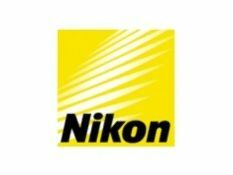 Nikon will reveal its June-September earnings on 4 November, which is around the same time as other Japanese electronics companies are expected to announce their earnings. Sales in Europe accounted for 23% of Nikon's sales in the year to March 2010. The Japanese yen was at a 10-year high against the Euro this week, cutting the value of sales in Europe. In a seperate statement, Kimura talked of Nikon's new compact system camera announced in September, the Nikon 1 system. He said that the company expects to sell several hundred thousand units of the new system by the end of the financial year in March 2012. The Nikon V1 and Nikon J1 are set to go on sale on 20 October. Pre-orders, according to Kimura, are "stronger than expected". Kimura also said he expects the cameras to take off in Asia first, eventually selling well outside the region too. Compact system cameras are popular in Japan, with more than 50% of total camera sales accounted for by mirrorless cameras. Meanwhile, Fujifilm announced it was to release its own line of mirrorless interchangeable cameras yesterday, which will leave Canon as the only major manufactuer without a similar camera on the market. Shares in Nikon have risen more than 7% since the beginning of the financial year in April, while shares in major rival Canon have fallen 5% over the same period.